I'm not going to tell you how to live your life, but consider DVRing things on Christmas Day instead of watching them live. You're missing time with loved ones. Not to say you don't need a break, so maybe you could just time your escape accordingly. ;) This is the final installment of holiday recommendations from us, though you can follow our entire holiday schedule through January 2nd. Below is our highly-recommended list for Sunday, December 25th below. As always, times are Eastern and Pacific to the best of our knowledge (except when noted otherwise), but it's always good to double-check with your own provider. 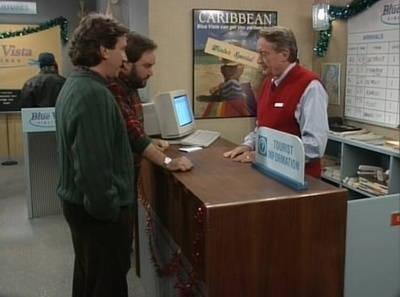 - I really enjoy the Home Improvement holiday episodes, but this one is one of my favorites. Tim and Al are out of town on business and are trying to return home on Christmas Eve. This leaves the boys to decorate the house on their own, in an attempt to win the neighborhood decorating contest. Between Tim and Al having a terrible time traveling and the fact that the house's brightness can be seen from the plane, there are some wonderful jokes in this episode! - This isn't live like some parades are, but it's still pretty magical. 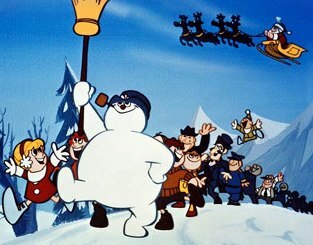 Various music groups, marching bands, and Disney characters take part. This year, the Muppets and Jennifer Hudson will be in the parade (which was taped a few weeks ago), along with talent from Switched at Birth and Phineas and Ferb, among others. - Tom and George don't want to go caroling with their wives, Florence, and the neighbors, so they stay home and decorate the tree together. Although they normally don't share much personal stuff with one another, the guys end up talking about their childhood Christmases. - What do you do when you want to take a family picture but one grandmother doesn't want the other one in the photograph? Well, as you might imagine, that's what happens here. And, as you probably hypothesized, it's Marie who doesn't feel that Debra's parents are "family." It's not that original, and not even the funniest episode, but it's a little different.